The International Committee Of Solidarity In Defence Of Lula And Democracy In Brazil joins the numerous manifestations of surprise and nonconformity with the announced appointment of judge, Sergio Moro, to the position of Minister of Justice in contrast with the repeated affirmations that no had political pretensions. The invitation, according to the newly elected Vice – President, General Mourão, would have been made during the election campaign, raising suspicion about the convictions and arrests decided by Judge Moro against members of the Workers’ Party, particularly former President Luiz Inácio Lula da Silva. 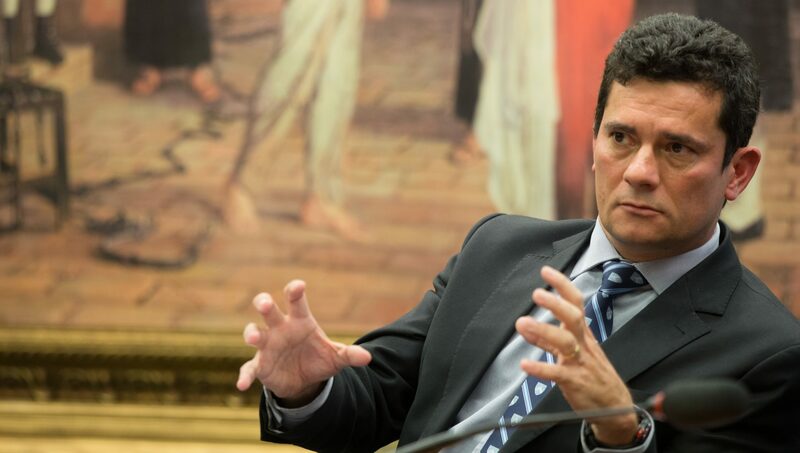 Judge Moro’s commitment to condemn former President Lula in a process considered to be flawed and unproven by eminent Brazilian and international lawyers, as well as his insistence on keeping him incarcerated, even when he was released by a higher court judge and his ineligibility was not yet complete, shows that he was actually eliminating the stronger rival to the present winning candidate. The invitation and its acceptance should cause the immediate annulment of the sentence handed down against former President Lula. They should also place any other cases opened by Judge Moro under suspicion in respect of ethics and legislation.